Today, Koryo Tours received confirmation of the mass games dates for this year. They are scheduled to run from JULY 22nd to SEPTEMBER 9th. These dates incorporate two of the biggest holidays in the DPRK this year – the 60th anniversary of the end of the Korean War on 27th July (Victory Day) and the 65th anniversary of the founding of the DPRK on September 9th (National Day) . Despite claims last year that 2012 would be the last ever Arirang-themed performance, it seems that this is not the case and this year the theme will again be Arirang but we expect to see new scenes added in to make it bigger and better than ever before. ORIGINAL POST (2012-7-11): I have relocated to the DC area and have begun clearing out the backlog of posts and emails. I should be caught up by the end of the week. However, since 2013 marks the 65th anniversary of the foundation of the republic (Sept 9th) as well as the 60th anniversary of the signing of the armistice that ended the Korean War (July 27th), organisers are reportedly planning a whole new performance for next year – for more news on this, please stay on our mailing list! So if you haven’t seen Arirang yet, or if you want to see it one last time, this is your chance. Koryo Tours is also repeating its Ultimate Frisbee Tour and Pyongyang’s first ever DJ set! Email them at [email protected] if you are interested. You can read the full Koryo Tours newsletter here. Nicholas Bonner (co-director/co-producer of the film) will be at the Miami screenings and the San Francisco screening on 16th March – and would love to see you there. Koryo Tours are proud to announce the very first charity Fun Run to be held in DPRK (North Korea) on May 1st 2013. The Fun Run is open to any tourists in Pyongyang at the time so if you’re on the May Day Long Tour or the May Day Short Tour then you can join in! There will be a 5km route as well as a 10km one for those who are up for more of a challenge – we will be running (or jogging/ walking/ limping – delete as applicable) in the Manyongdae District in Sports Street. Tourists taking part in the fun run won’t miss out on any of the other activities – after the run we’ll return to the hotel to freshen up before starting the day’s sightseeing itinerary kicking things off with a visit to the Mansundae Grand Monument before heading to Taesongsan Park where the locals hold May Day celebrations. The aim of the run is to raise money to buy milk powder for the children in the Nampo Orphanage on the west coast, a place we’ve worked with regularly. There will be a minimum donation of EUR 20 per runner but if you’d like to try and raise more we of course encourage you to do so – and please note that donations from non-participating tourists are also greatly received by us and the children! The weather on the morning of May 1st should be pleasantly cool, we’ll provide water and a FUN RUN T-shirt so all you need is some suitable footwear/ clothing. 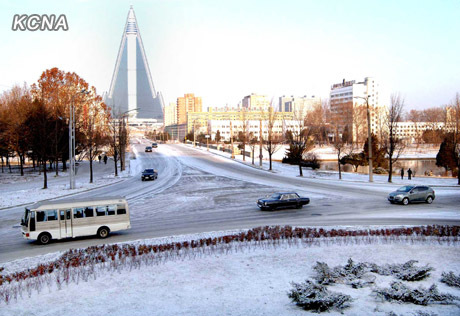 The most recent Koryo Tours newsletter contains the first photos of the Ryugyong Hotel (inside and from the top)! On Sept 23rd Koryo Tours’ staff were taken to the top of the enigmatic and oddly iconic 105 storey Ryugyong Hotel in Pyongyang – we were the first foreigners allowed to take pictures there and are able to print a handful of shots of the ground floor and the open air viewing platform more than 300 metres up. The view was incredible and breathtaking indeed! 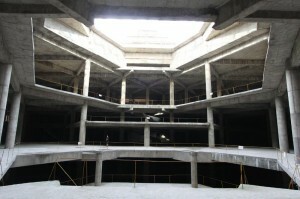 The inside of the building still has substantial work to be done but the structure of the lobby and dining area and conference room (all on the ground floor) were visible, sources at the site suggest 2 or 3 more years until projected completion at which time hotel rooms, office space, and long term rentals will be available. 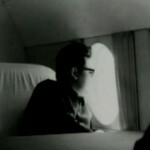 Koryo Tours also just finished a film in the DPRK: Comrade Kim Goes Flying. Last year, around 3,500 Western and 40,000 Chinese tourists traveled to North Korea, according to Beijing-based Koryo Tours, which accounts for about 50% of the Western tourists each year. That total includes American citizens. “We would estimate that around 500 or 600 American citizens visit every year,” Nick Bonner, a Brit who founded Koryo in 1993, told Ad Age in an email interview. “There is a lot more to the country then you hear about from either North Korean or Western press. 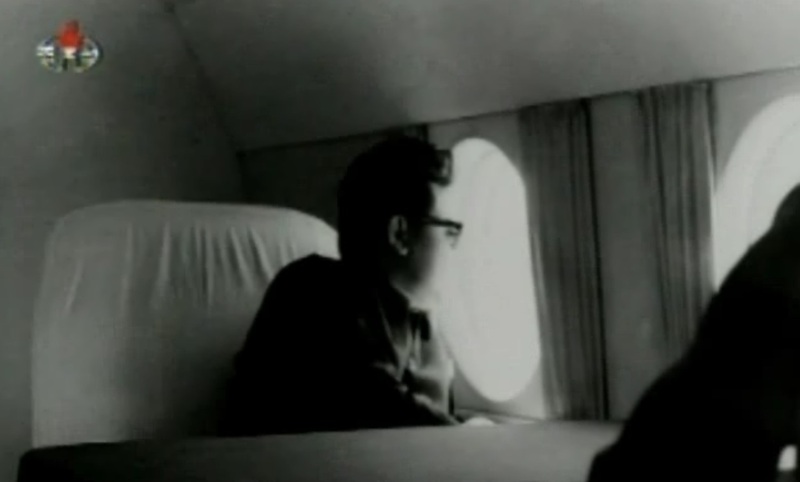 I have watched more North Korean television footage than a healthy person should, but this was the first video footage I had seen of Kim Jong-il on a plane. 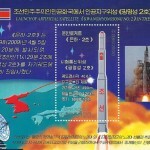 Alejandro Cao de Benos once told me that Kim Jong-il could fly fighter jets, though I have not seen any footage of that. In the next few days Koryo Tours will be offering a brand new tourist route in the DPRK, from Rason down the East Coast to Chongjin and Mt. Chilbo, previously only accessible by charter flight from Pyongyang. A-ha’s “Take on me” performed by young accordion players from the Kum Song School, filmed in Pyongyang, North Korea December 2011. Part of multi-genre project The Promised Land by director and artist Morten Traavik. Here is more information on the video. I believe this clip comes from a feature film: The Autobiography of Nicolae Ceausescu (2010) (trailer here). This drink is manufactured in the Kumkop Combined Foodstuff Factory (금컵체육인종합식료공장) in Mangyongdae District. Satellite image and coordinates here. 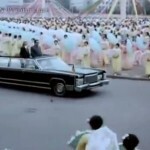 April 15th 2012 marks North Korea’s biggest celebration in decades – the 100th birth anniversary of Kim Il Sung, who, despite his death in 1994 is still the country’s ‘Great Leader’ and ‘Eternal President’. At present, the exact nature of the celebrations and corresponding tourist access is shrouded in the usual mystery – no one knows what visitors can see and do, but as always Koryo Tours will be first in line. Birthday travellers should be ready for sudden changes in itinerary and hotels – all part of the excitement of the country’s biggest holiday period ever! We have several tours going on over this holiday, including one brand new one we just added to our website; all of them are open for application now. – Ideal for anyone wanting to see North Korea’s capital Pyongyang on this massive occasion. We’ll see all the city’s highlights and be there for the nation’s biggest occasion in history. the peninsula for six decades. – The Big One! If you’ve ever wanted to (almost) fully explore the world’s most mysterious country in one trip, then sign up today. The tour’s complete version runs two weeks; those on tight schedules can book for first or second halves alone. 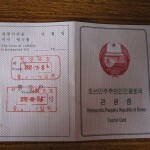 Week one (Option A) takes us around Pyongyang, Kaesong and the DMZ, Mt. Myohyang and the giant gift halls to North Korea’s leaders, the west coast city of Nampo and much more. Choose week two (Option B), and you’ll see the rarely-visited east coast cities of Wonsan and Hamhung, North Korea’s second largest city, which Koryo Tours opened to tourists in 2010. From there we’ll see the stunning Mt. 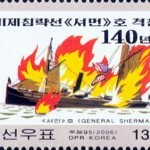 Kumgang area and the country’s most remote area open to travellers. who have seen the main sites and want a second trip. Option A is filling up fast so we do need to ask for early applications for this tour, Option B is still open for booking, and ideal for those who have seen the main sites and want a second trip. There are 15 places left for the Option A or Ultimate Option! – Due to high demand we have added another week-long tour, so you can take in the country’s most fascinating sites and still catch the Big Event. Check out our amazing programme and sign up now to be on the ground for the biggest birthday party of 2012! Click images to see larger version from the source. 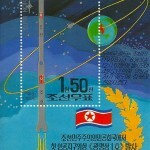 I have an interesting book of North Korean stamps, but have not posted it. 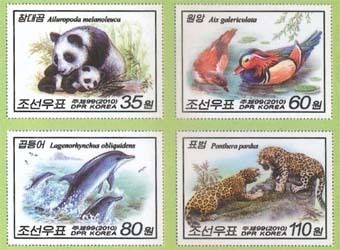 Here are some recent DPRK stamps highlighting Chinese/DPRK friendship. Here are some CNC stamps. Here is a stamp issued to raise awareness of bird flu. 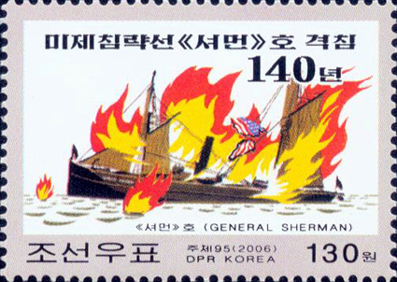 UPDATE 1: A reader sent me a link to some additional DPRK stamps on the North Korean web page, Naenara. See them here, here, here, and here! Chollima Steelworks – A major heavy industry site for the Democratic People’s Republic of Korea (DPRK), this place was built by the Japanese and is known to Koreans as the birthplace of the Chollima movement, which even today drives the country. If you’ve always wanted to witness the making of ‘Juche Steel’ in a giant facility, come to Nampo with us. This is the DPRK’s most famous factory, and as always, Koryo Tours are the first company to be allowed to take tourists inside. But Koryo has its own Chlima connection; we can tell you about the art project we arranged at the steelworks as well as the scenes we shot there for our new feature film! Tae’an Heavy Machine Tool Complex – This enormous complex boasts a number of hangar-sized buildings; we will see the vast range of machine tools, lathes and so on that the workers use to make shaped steel, turbine components, and other products. Tae’an Glass Factory – This opened in 2005 with heavy Chinese investment, in fact, the Peoples’ Republic of China President Hu Jintao attended the opening ceremony along with DPRK leader Kim Jong Il. Tae’an produces glass and glass products for the domestic market. Koryo tourists will be the first visitors ever to watch the process from smelting to sheet-cutting, and even try to break a sheet of strengthened glass! Nampo Taekwondo School – Many of the DPRK’s champion martial artists have been educated at this school, despite looking from the outside like it badly needs some maintenance the demonstration put on by the students here (aged from 6 – 16) is a mind-blowing masterpiece of the indigenous Korean fighting style – it’ll make you think twice about arguing with little girls in future! Nampo Park – With a scenic view over the mouth of the Taedong River, as well as a fresh-water swimming area ideal for warmer months, this is a great place to relax or have a picnic. A popular wedding photography site, this picturesque park makes a pleasant diversion after the heat and noise of the factories. Keeping with our tradition of travel innovation, Koryo Tours would love to show you the face of DPRK no visitor has seen before. Come see the world’s most mysterious country with the only DPRK specialists around; contact us on [email protected] or pop in and see us if you’re in Beijing or Shanghai. For anyone planning a DPRK trip, whether it’s your first visit or you’re coming back for more, Koryo Tours is glad to offer you the chance to do and see more than ever before. We look forward to hearing from you! We are adding these new attractions to the following tours, so if you’ve ever wanted to see Juche Steel (it’s a real thing!) being made, watch a load of sand turn to glass, see North Koreans operating lathes of all kinds, and see a young child beat up several surly attackers then one of these tours could be perfect for you! 1. Yonhap recently published a long article on Koryo Tours founder, Nick Bonner. You can read the full article here. 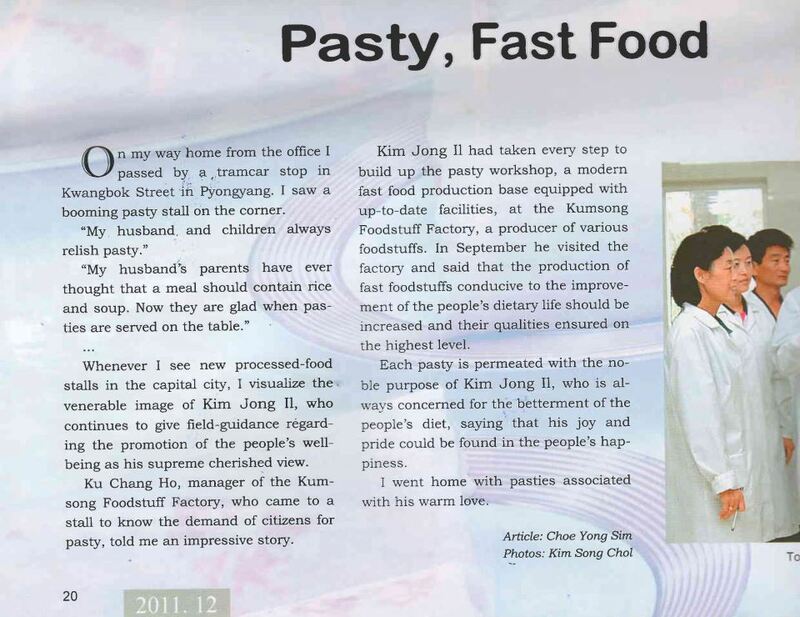 In the article he discusses starting Koryo as well as the numerous other projects he has launched in the DPRK. 2. Bonner’s colleague, Simon Cockerell, recently did a podcast interview with the Korea Economic Institute. The whole interview is worth listening to here. 3. Koryo Tours just sent out an email newsletter. You can read it here. 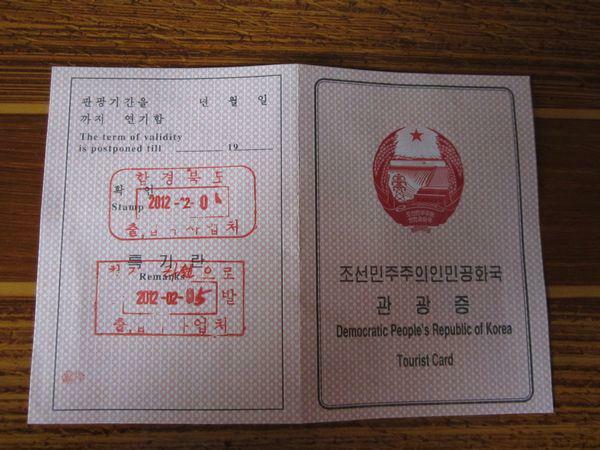 You are currently browsing the archives for the Koryo Tours category.